Our Pull-up Banners provide a quick, impressive and highly convenient display system that is vibrant and eye-catching. Lightweight and easy to carry, you can take our Pull-ups anywhere, giving your next presentation some extra pizzazz. Our fabric pull up banners bring you the lightweight convenience of paper with the strength and durability of vinyl, providing you with the best of both worlds in a far superior material. And of course, our pull-ups also look great, with bright colours, clear text and sharp images ensuring a highly professional result. Combined with retractable banner stands and a robust carry bag, our pull up banners provide a handy system that is easy to transport and can be set up and taken down in seconds. They are also quick and easy to update with new printed media. 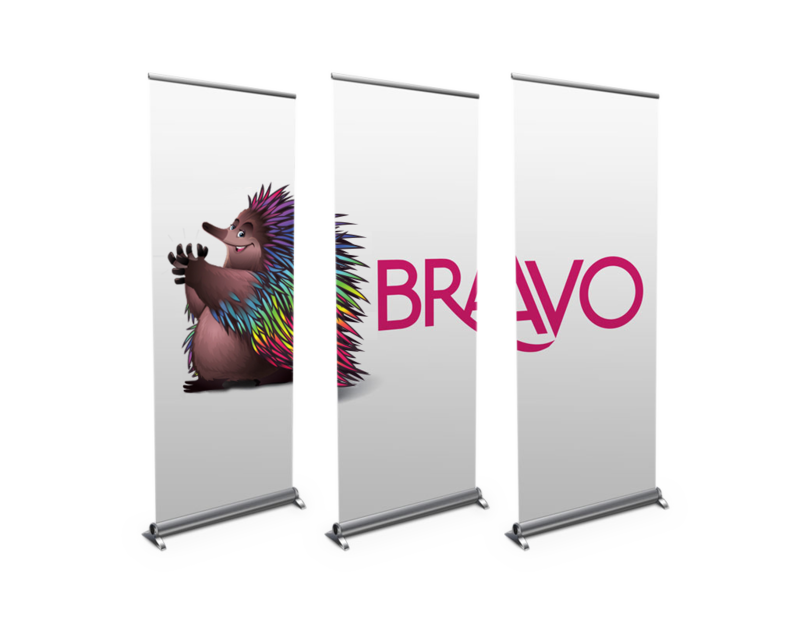 Bravo is able to print pull-ups in a wide range of sizes, finishes and fabrics to suit your particular application – whether it’s advertising, signage, information display, or for trade show and exhibition use. For more information on how our banners and retractable banner stands can work for your project, call us now on (03) 9769 1317.